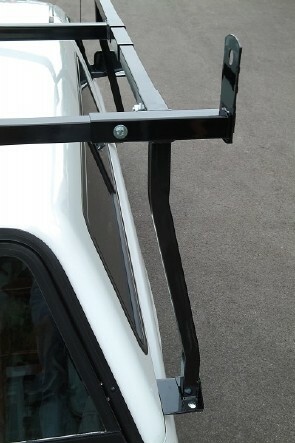 The Cross Tread "Renegade" truck ladder racks are made out of heavy-duty 14 gauge steel tubing and finished off with a thick layer of high gloss black powder coat. You have a choice of either a 27" or 32" high posts, ensuring ample clearance. 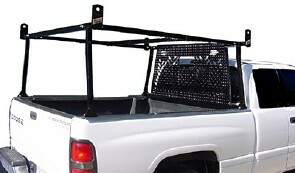 For a truck rack that also goes over the truck cab, check out the Cross Tread "Renegade XT" truck rack.